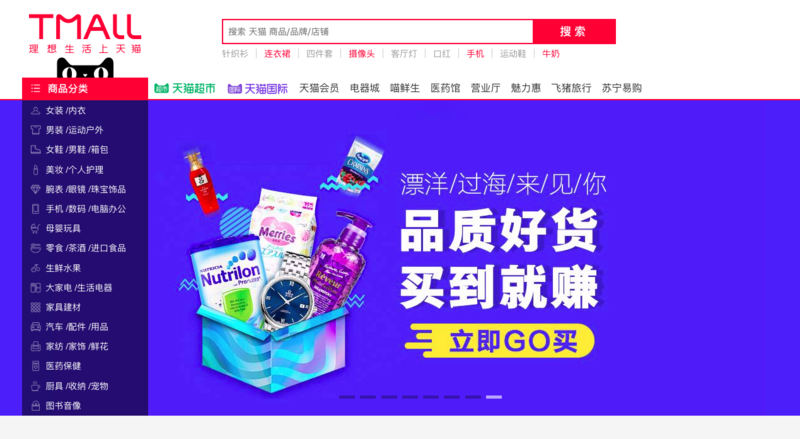 Tmall Promo Code April 2019 | Find Tmall 1111 Sales Here! Any amount offset by Taobao Points, Merchant Vouchers, Timed offers or new store promotion will not be eligible for Cash Rewards, only the remaining paid amount will be eligible for Cash Rewards. Resellers, agent sites, giftcard orders, Orders outside of Singapore. You may use a China shipping address. Promotions and discounts from thousands of retailers! Tmall's T&Cs apply. The usage of Tmall Points and Vouchers, any instalment payment methods will still qualify the purchase for Cash Rewards. There are different commissions for different products set by the respective stores. Based on the commissions given, ShopBack will give out the Cash Rewards accordingly. The Complete Guide With Protips: How To Taobao And Tmall Like A Boss! Tmall.com is an e-commerce website that was a spin-off from Taobao. As of February 2018, it has more than 450 million monthly customers! Users have a plethora of choices to choose from, as it features over 70,000 products from both Chinese and internal vendors. According to Alexa, Tmall is one of the top-20 most visited websites in the world! Well-known international brands like GAP, Reebok, Dell, Lenovo, Nokia, Adidas and many other such brands have stores on Tmall. It is stated to launch new partnerships with luxury brands each month in the year 2018. You can shop for a variety of products on Tmall that range from healthcare products to household appliances. The website offers a seamless user interface where you can purchase items you want and have them delivered to you. Tmall was initially started as a B2C platform in April 2008. It was known as Taobao when it was introduced. Its independent website as you see now was launched in November 2010, to categorise the listings by its vendors. In June 2011, Taobao was restructured into 3 different and separate companies. Due to this, Tmall resulted in becoming an independent business group under Alibaba. In October 2011, Tmall.com raised the service fee for merchants by nearly 50,000 Yuan. This was done with the intention to filter out fake merchants. Tmall Global was started by Alibaba as a cross-border marketplace in February 2014. This enabled international vendors to sell products directly to Chinese customers. , Alibaba launched Tmall Global as a cross-border marketplace for foreign brands and merchants to sell directly to Chinese consumers. This cross-border model does not require vendors to have a legal entity in the country for them to sell on Tmall. Beauty Care: Pamper yourself by getting the best of beauty essentials on Tmall! Shop for skincare products, makeup essentials, personal care items, beauty tools and perfumes too. All product details are displayed on the product listing page and you can go through them thoroughly before making a purchase. Clothing, Bags & Shoes: Shop for men’s and women’s innerwear, bags, shoes, jewellery and watches to look your best. Tmall has products from the best local and foreign brands for you to purchase from. Home & Digital: Shop for home appliances and kitchen accessories online at Tmall. You can choose your product from their categories or enter it into the search bar provided at the top of the webpage. Baby Products: Tmall has an array of items available for babies and mothers to be. Shop for maternity supplies, baby supplies, baby clothes, baby toys and more at the Tmall website. Baby food is available here too. 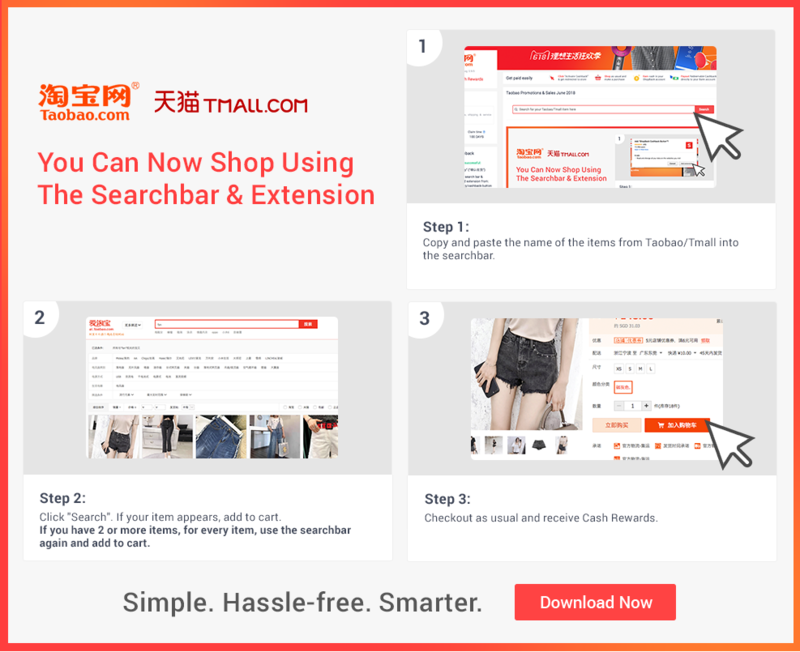 How to Shop at Tmall? Tmall Singapore has a colourful and easy-to-use website, which makes your shopping experience pleasant and simple. You will find all the categories displayed on the homepage at its left. Details of every product can be viewed by clicking on the product and navigating to the product details page. Tmall ensures that all its products are "100% overseas direct supply, 100% overseas authentic guarantee, 100% domestic return", which enables in creating a unique and efficient cross-border shopping spree. Browse through the categories that are displayed at the left of the homepage. Each category is further divided into a set of sub-categories. Choose the sub-category based on what product you’re looking to buy. Click on the sub-category to find a list of products. You can search for the item by entering it into the search bar at the top of the page as well. Once you have chosen your product, click on it to navigate to the product details page. Check the details of the product and if you are happy with what you see, proceed to click on “Add shopping cart” button if you have more items to shop for. Click on “Buy now” if you have finished shopping for items. Then click on the shopping cart link at the top of the page. It will open a login/sign up tab, where you will have to log in to your already existing Weibo login or Alipay login account. If you don’t have an existing account, then you can register for free by clicking on the “Free registration” link on the same tab. After you enter your email details, you will have to make the payment via Alipay to complete your transaction. The payment for your purchase on Tmall can be made through Alipay. Alipay is an online and mobile payment platform, which has more than 520,000,000 users! Through this platform, you can make secure, quick and easy transactions. Alipay has real-time monitoring and world-class payment security. They have a 100% reimbursement for unauthorized transactions too. If you don’t already have an Alipay account, you can sign-up for free and start making the payment. Customers can shop for great deals and discounts by shopping at Tmall. During a Tmall sale, you can avail discounts by applying a Tmall coupon or a Tmall cashback. Use ShopBack to get up to 10% cashback on purchases from Tmall. The coupons are categorised as commodity coupons and store coupons. Only one of them can be used at a time. Furthermore, coupons cannot be used to purchase other coupons. How to Redeem Coupons and Vouchers at Tmall? You can enjoy a great shopping spree at Tmall by availing many discounts on items. Apply coupon codes and vouchers to save money and make an amazing purchase. Discounts and deals from vendors can be applied to products while you are buying them. Step 1: Select the product you want to buy and add it to the cart by clicking on the “Add shopping cart” button. Then proceed to the shopping cart where you can see the details of your products. Step 2: Look out for the red square ‘¥’ symbol below the product name. Click on the same for redeeming your coupons. You can also apply it on the payment page under the’ 店铺优惠’, which is the Shop Promotions option. November is the best time to save with Tmall 11.11 sales and promotions! Tmall should be one of the online stores you need to keep an eye on this November. Being from the same group of merchants famous for being forerunners of the biggest shopping event of the month - and maybe the year - you can be sure to snag some great Tmall 11.11 sale or promos at ShopBack! So be sure to swing by ShopBack and who knows, you might be better off with a Tmall 1111 promo code or two! Step 1: Visit the ShopBack website and click on the Tmall store at the bottom of the homepage. You can also use the search box to find the link to the Tmall store. Step 4: You will be redirected to the Tmall website to browse and select the items. Please note that the cashback offer is not applicable on purchases made on the Tmall app. Once you have placed your order, it will get processed and delivered to your doorstep within the stipulated time. International products and cross-border orders may take a longer time for shipping and delivery. Late delivery: In situations of a late delivery, the merchant/vendor is liable to pay the buyer 30% of the actual transaction value of the goods (the maximum amount cannot be more than RMB 500) as a breach of contract. The goods are generally delivered within 5-7 days after shipping. Usually, goods are shipped from the warehouse around 8-15 days after the payment is confirmed and finished. For remote areas, shipping and delivery will take around 15-20 days. Invoice for overseas business: According to the National cross-border supervision policy, cross-border retail imports are different from domestic transactions. Overseas businesses do not need to invoice. Returns: If you are not happy with the products you have been delivered, then you can contact the communication and consultation service of the business. If the product comes with a "7 days no reason to return" or "7 days assuredly back" service commitment logo, customers can apply for a return within 7 days after the receipt. For all your queries and doubts, contact the customer service of Tmall at 400-843-2288. You can also ask your questions at their online service link. The operating hours are all through the week from 09:00-24:00 hours.